The new indictment against President Trump's former campaign chairman and his right-hand man contains 32 counts, including fraud and money laundering. 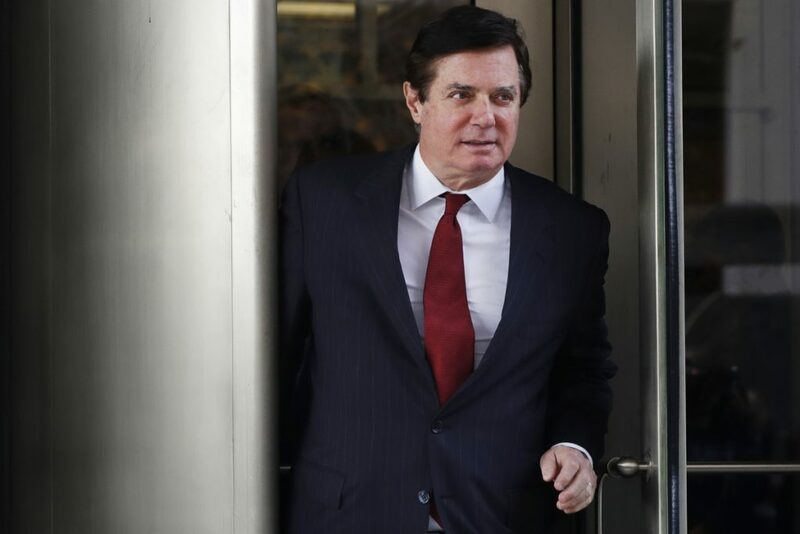 New charges were filed Thursday against former Trump campaign chairman Paul Manafort and his business partner, ratcheting up the legal pressure on them as they prepare for a trial later this year. A new indictment has long been expected in special counsel Robert S. Mueller III’s prosecution of Manafort and his right-hand man, Rick Gates, on fraud and money laundering charges. Manafort served as President Trump’s campaign chairman from June to August 2016. Gates also served as a top official on Trump’s campaign. The new indictment contains 32 counts, including tax charges. 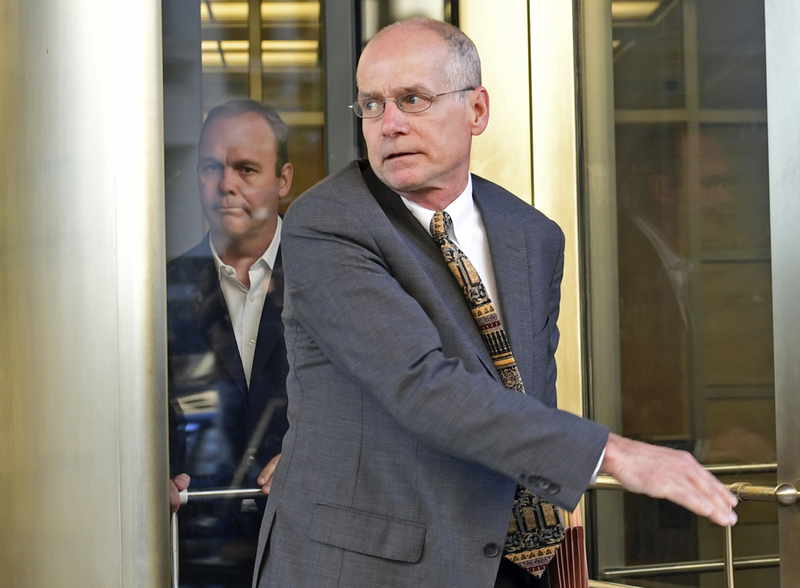 Rick Gates, left, walks through the revolving door as he leaves federal court in Washington in October, after pleading not guilty to felony charges of conspiracy against the United States and other counts. The filing Thursday comes at a time of significant uncertainty in the case about when a trial might happen, or even who the defense lawyers will be. Last week, U.S. District Judge Amy Berman Jackson criticized both sides for what she called “unacceptable delays” in a case which still doesn’t have a trial date set. Manafort and Gates were hit with a 12-count indictment in October – the first criminal charges in Mueller’s probe of Russian interference with the 2016 election. That indictment focused not on events in the 2016 race but financial transactions involving work by Manafort and Gates for a Ukrainian political party, and their failure to notify U.S. authorities that they were allegedly acting as lobbyists for a foreign government. For a time, it appeared Gates’ new lawyer would be Thomas C. Green, an experienced white collar attorney with a reputation for cutting plea deals on behalf of his clients. On Tuesday, an associate of Gates pleaded guilty to lying to the FBI in the course of the Russia investigation. Alex van der Zwaan, a former lawyer at a premier law firm, admitted to lying about his contacts with Gates.